The Nikon D750 is a full frame camera targeted towards advanced amateurs and professionals alike. It features a 24mp full frame (24x36mm) sensor and is capable of capturing high quality images in virtually any situation. 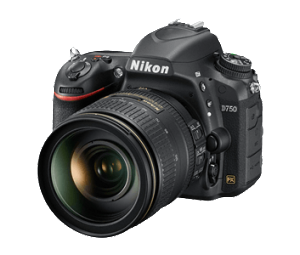 The D750 is typically available as a body only or as a kit with the Nikon AF-S 24-120mm f/4 VR lens at a great discount. The lens typically sells for $1,100 alone, but when purchased with the D750 body you can save significantly! I really like the option of having dual cards and would typically use the last option, creating a backup image in the field so I don’t lose any images due to card failure or loss. Another stand out feature is the tilting LCD screen. This is a nice addition, but I really would have preferred the fully articulating screen like the D5500 has instead.